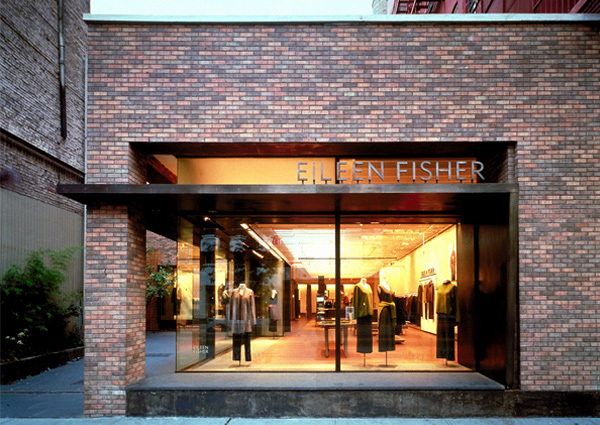 The commission to design the new flagship store for clothing designer Eileen Fisher outlined a program featuring a loft-like main space, a separate room for new "collections," eight dressing rooms, office space, storage space and toilets. 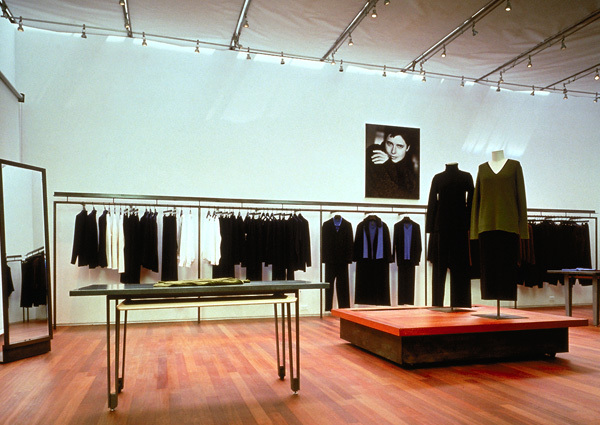 Working closely with Eileen Fisher’s concepts of rich simplicity and the systematic layering of garments, CDR Studio investigated the relationship between building materials and natural light, as well as the client’s relationship with the public. 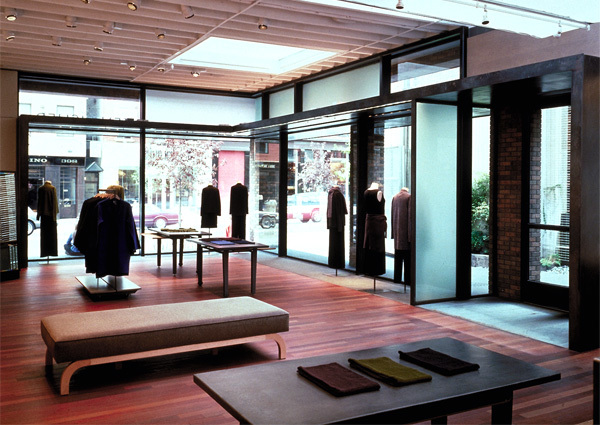 Except for the large wood ceiling beams, the store represented an entirely new building in the heart of the SoHo historic landmark district. 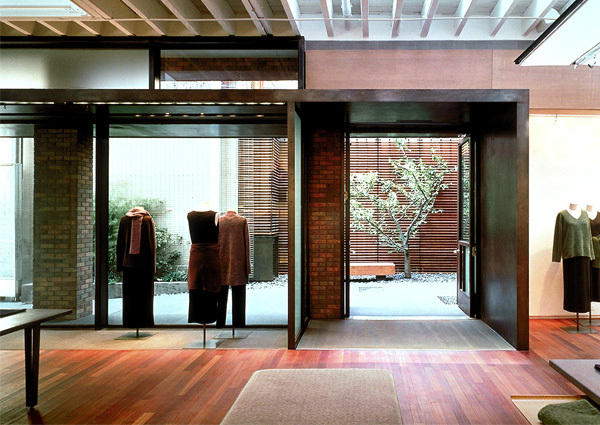 Yet, from its front "stoop" to its brick and steel exterior, the store attempted to embody the feel of existing buildings in the neighborhood. The former driveway became an opportunity to create an incision: a garden and a corner exposure in the one-story, mid-block structure. 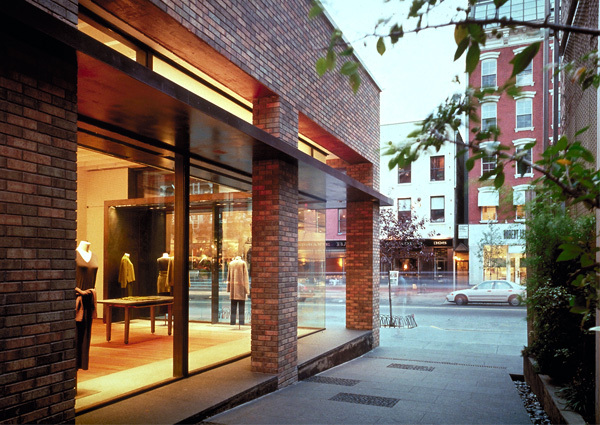 A new steel-plate canopy was used to wrap the perimeter of the storefront, stitching together the sidewalk, interior and garden spaces. 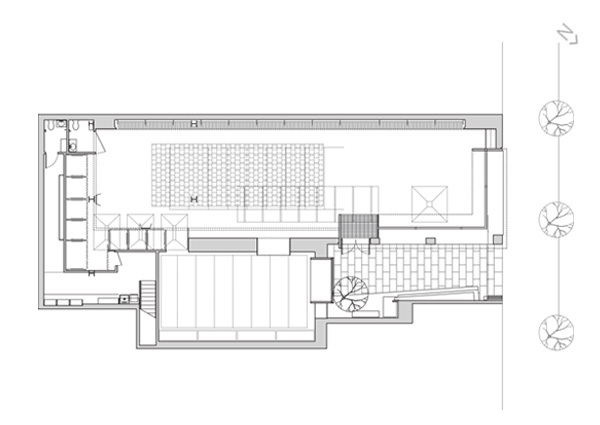 Provision of the new public space also attempted to make a place of refuge within the surrounding urban fabric. Use of a rigorous continuity of materials connected the inside and outside. 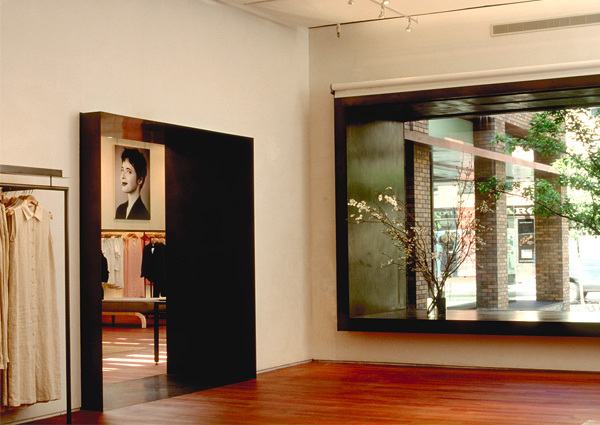 The granite plinth that slips underneath the patina steel storefront extended the space of the sidewalk inwards. 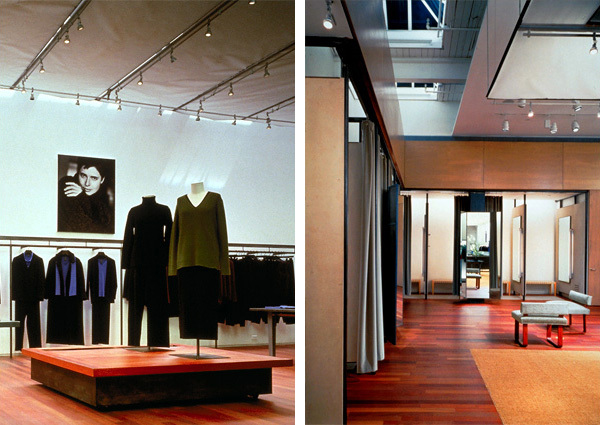 In addition, new skylights were placed strategically to create bands of natural light that run along the length of the main retail and collection spaces. Consequently, daylight washes through the skylights onto fabric ceiling scrims, illuminating the sun’s path throughout the day while at night the fabric glows with warm luminosity, rendering the depth of the interior volumes. The layering of both natural and artificial light was intended to expose the nature of the project’s interlocking forms and material connectivity.